The Osbournes online casino slots game has five reels and 20 pay lines and a 200 coin maximum to play. The coin values start at $0.01 and go up to $0.50 which means that it is suitable for just about any wallet size. The symbols and images in the Osbournes online slot machine are all about the rock star Ozzy Osbourne and his musical family. You’ll find guitars, golden statuettes, and all the members of the Osbourne family plus the Osbourne insignia, the little dog Mini and a rather ferocious-looking door knocker. The background music is pop and rock which takes you straight into the Osbournes musical world, and the graphics are definitely comic book style and highly animated. 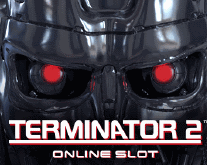 With the 20 pay lines, you can achieve many winning combinations. The Osbournes has several unique features that make this online slot game a lot of fun to play. There is one wild symbol and two scatter symbols and three bonus games, all offering significant rewards. The Wild symbol is the Osbourne insignia. This symbol substitutes for any other image except the two Scatter symbols to help attain winning combinations. The Scatter symbols are the big Door Knocker and Mini the dog. If you can get three Knockers on three adjacent reels from left to right, you can win up to five times your bet. If the three Knockers show up, you are asked to click on one of them and are awarded the bonus amount hidden behind it. The Mini Scatter symbol triggers a Free Spin Trail that is really fun to see. If three Minis show up anywhere on the five reels, they trigger ten Free Spins where all your wins are doubled. But the game within the Free Spins is a trail advancing you from one member of the Osbourne family to another. Each member offers a bonus number of coins and additional Free Spins are triggered every time another Mini shows up on the reels. 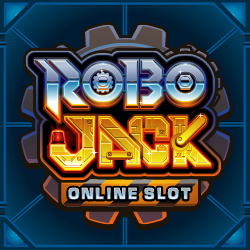 This makes for a really unusual online slots game with a lot of action. The third Bonus game in The Osbournes online slot machine is called the Grab a Gift Bonus. This bonus game is randomly activated and can appear anytime while you are playing. You are asked to pick a gift and then you are allotted the bonus amount that is revealed. With all these unique features, The Osbournes will offer you hours of exciting online slots entertainment plus the chance to win significant payouts. So join the Osbournes for some online slot machine fun.